The career of Ira Aldridge illustrates the costs that racism inflicted on African Americans and on America itself. Aldridge was one of the great actors of his age-but he was black. Unable to work in America, he moved to England in the 1820s and lived abroad until his death. 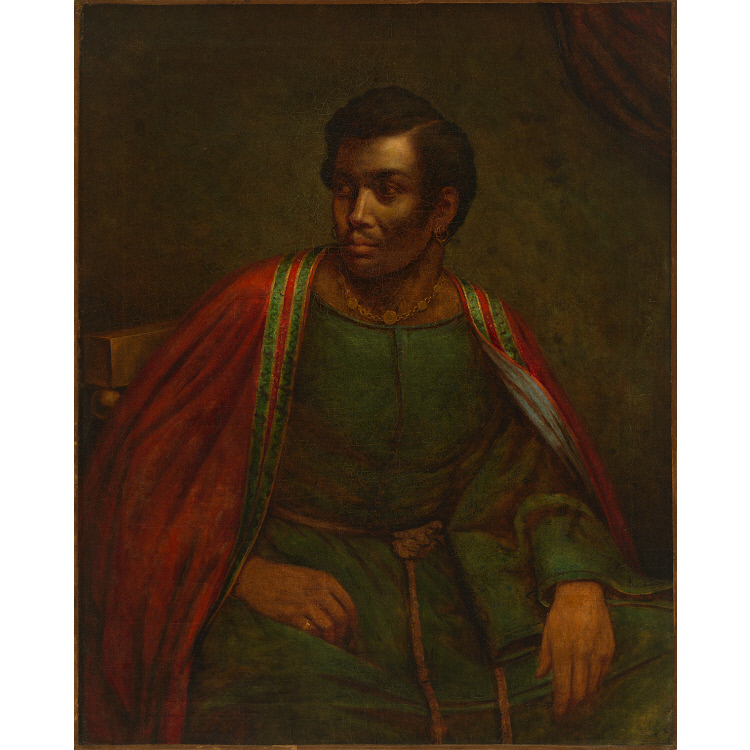 Aldridge's most famous role was Othello, in which he is shown here, a part that he invested with the poignancy of his own experience; a Russian critic wrote in 1858 that "he was Othello himself, as created by Shakespeare." Yet Aldridge was not bound by color in his acting. He played most of Shakespeare's main characters, especially the tragic heroes. Aldridge's career foreshadows the fate of many African American artists, such as dancer Josephine Baker or jazz musician Dexter Gordon, who chose to go to Europe to find wide acclaim. Sir George Alexander; presented in 1907 to The Garrick Club, London; sold to NPG 1972.